Hotel Garfagnana Italy. Hotel Bed and Breakfast Residence Farmhouse booking guide to stay in Garfagnana. Garfagnana was once a wild rugged Region which corresponds to the upper valley of the river Serchio. The area was in the past the bone of contention between noble families from Lucca, Florence and Rome when Garfagnana was defended by fortresses and citadels scattered in the green valley. Castelnuovo di Garfagnana is the main town and the crossroad of the entire valley linked by mountain pass with the surrounding regions such as Liguria bypassing the Carpinelli pass, Emilia by the Radici pass, Versilia coatline by the Cipollaio tunnel but the main roads to get to Castelnuovo are the state road nr. 12 or the Via Lodovica both running parallel to the Serchio river shoreline towards Lucca. Villa Moorings Hotel is a three-star hotel which is situated in Barga in Garfagnana. Near the hotel there is a cathedral to be visited. Villa Moorings rooms have wi-fi and minibar. The swimming pool, the lounge bar and the free car parking place are at the guests' disposal. Lucca and other Tuscan art cities can be easily reached by car. Antico Albergo Terme is a three-star hotel which is situated in Bagni di Lucca, in Garfagnana. The hotel is close to the spa and has a restaurant offering traditional dishes, a lounge bar, a pool and a wellness. All rooms have air conditioning. Car parking is free for the hotel guests. Do not miss the walks in the Tuscan countryside. Hotels with parking in Garfagnana ? If you have decided to travel to Garfagnana by car or motorbike, don't worry about finding a parking space or leaving your vehicle unattended. Display the list of hotels and accomodation in Garfagnana provided with a parking place or a garage. Book a hotel in Garfagnana with a parking area! Pet-friendly hotels in Garfagnana ? Don't leave your dog at home. Use our guide to check the list of hotels and accomodation that welcome dogs in Garfagnana. It is also possible, from our selected list of hotels and accomodation where animals are allowed in Garfagnana, to keep your dog in the room with you! 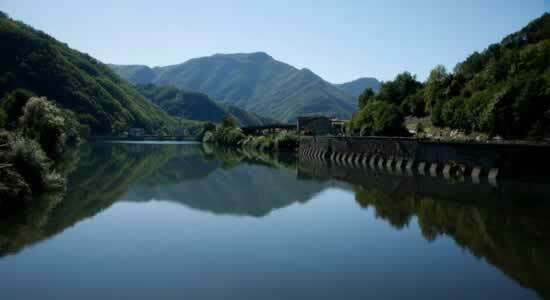 Check our offers of hotels and accomodation in Garfagnana with rooms equipped for the disabled! For your stay in Garfagnana, book a hotel accessible to disabled people. Choose your hotel in Garfagnana from the list of hotels equipped to welcome disabled people! Wi-Fi hotels in Garfagnana ? Are you looking for a hotel or accomodation with a quick internet access and wi.fi? Click on the list of hotels in Garfagnana which have a wireless connection to internet and wi.fi. Gay-friendly hotels in Garfagnana ? Look for gay friendly hotels or gay friendly accomodation in Garfagnana, choose to sleep in a gay friendly hotel or gay friendly accomodation in Garfagnana! Take advantage of our offers of gay friendly hotels or gay friendly accomodation to book your holidays in Garfagnana.